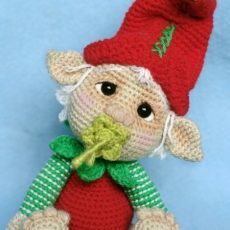 This is a pattern to make a sweet, innocent, baby elf so adorable that you will want kiss him day and night! 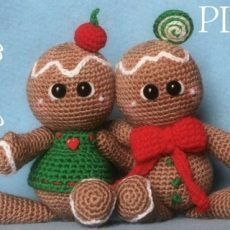 GINGER Rogers and BREAD Astaire, two gingerbread cookies, are here to make the sweetest holidays ever! 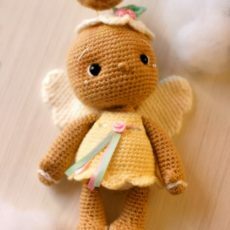 These really cute dolls could be the perfect Xmas decoration, or perhaps a gift for your dearest little ones. 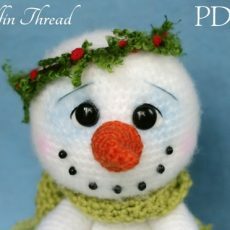 This is a pattern to make a Chubby Snowman so adorable that you will want kiss him day and night! 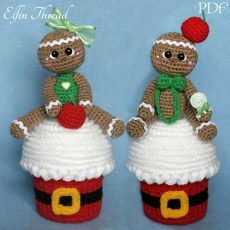 This is a pattern to make a Giant Christmas Cupcake With Gingerbread dolls as a cupcake topper or use the dolls and the cupcakes separately. 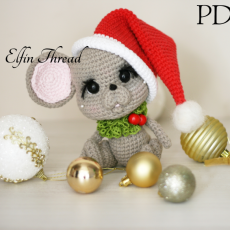 That's two patterns in one! 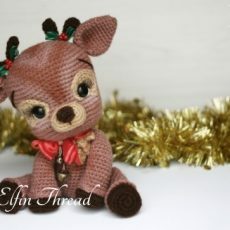 A cute decoration that will lighten up any corner of your home. 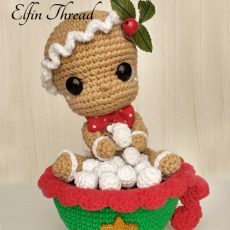 Coming from heaven, this is not your classic gingerbread man: he's a gingerbread angel, who will bring light to your house in the coming holidays. Isn't he the cutest angel you ever saw?